★Room and environment is take care by owner, so In order to provide a comfortable space for everyone: check in time is 1600-2100 pm, check out time is 1200 am if you wanna early put your Luggage here, you can communicate with us. ★Bao Cheng Home retain the original architectural structure so there is no elevator, no television but with modern bathroom. Children under six years old and over sixty years old olders should be noted that the operations of stairs and consider sincerely whether to stay or not. By the way, so far, we do not accept pets stay ! ★We need to pay deposit and the price is 50% of your total fees. To confirm your reservation, you need to bank into the account which we give in 2 days. After banking, please inform us last five number of your bank to make sure your booking successfully. ★In response to Eco living, we provide Melaleuca shampoo shower gel and towel, but do not provide related disposable supplies: toothbrushes, toothpaste and other personal private toiletries. Please prepare yourself. ★Continue staying we do not provide changing spare sheets, but we encourage you just stay at same room and continue staying will get 10% discount. ★This is our own open space so we Do Not provide restaurant or hotel services. You and owner will living in the same space with respecting and taking care of each other, so if you are habitual in residence at the hotel, please think twice whether to stay. ★Due to BaoCheng Home is located in a residential area, close to the neighborhood, and also the old house soundproofed restrictions, please try to keep quiet after 21:00 and rest to avoid disturbing others. 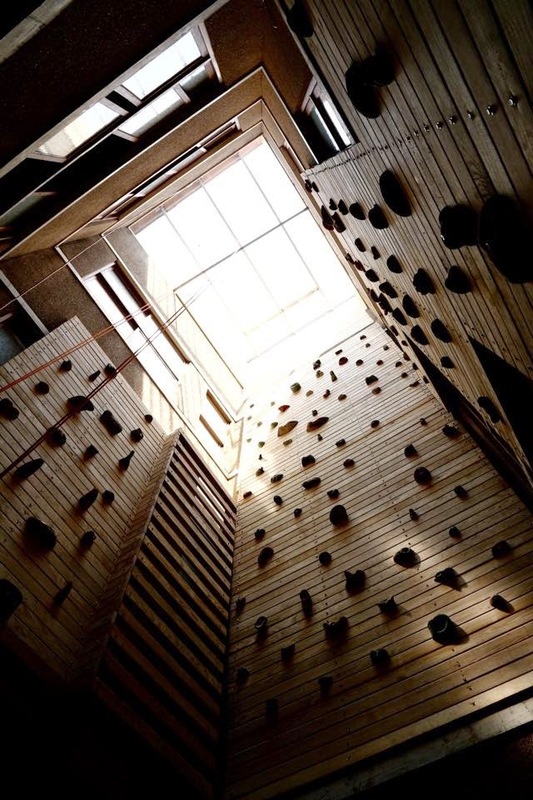 ★Patio climbing wall is ONLY provided to reserved guests, and without booking by climbing use is strictly forbidden to enter the venue. ★The first floor is public space, because there encompasses the kitchen, if you have children, please note children safety. Counterparts are welcome our guests to use the first floor space to share, watch movies, chat and so on.